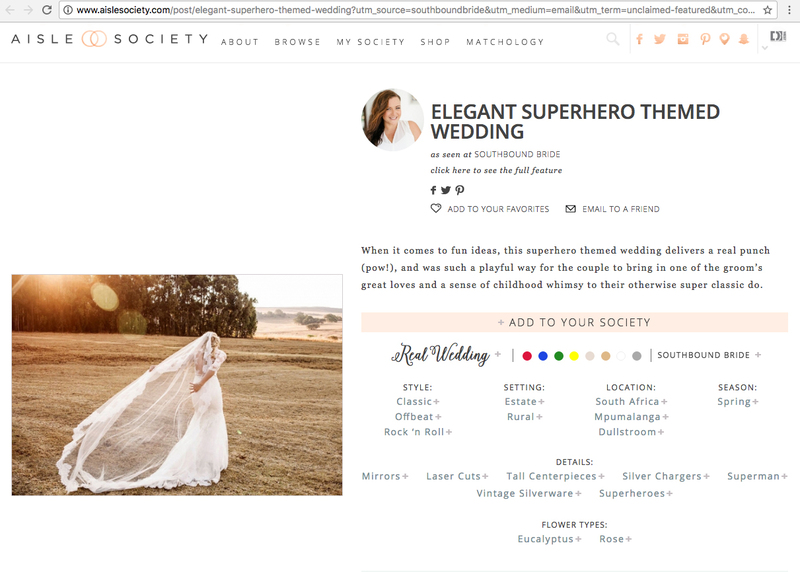 Im so honored that Alicia and Neills Beautiful and elegant Super Hero Wedding was featured on the amazing Aisle Society blog. Aisle Society is a collective of over 30 wedding blogs worldwide who have come together to create a new hub of wedding inspiration. Their innovative new website leads couples to the best wedding content that exists online, assisting them in finding inspiration along their wedding planning journey.